The Parrot CK3100 LCD is the most renowned hands-free car kit on the market. With the Parrot CK3100 LCD, you will be able to place and receive calls in comfort and safety, without ever touching your mobile phone. The wireless connection between the Parrot CK3100 LCD and the Bluetooth phone and its voice recognition system is enabled as long as the phone is turned on. At a time when legislation is tightening up to restrict the use of mobile phones in vehicles due to safety concerns, Parrot CK3100 LCD benefits are not just for the sake of convenience and comfort - they are fast becoming a real necessity. Professional installation recommended. Once connected via Bluetooth the Parrot CK3100 LCD allows you to initiate and accept calls without physically handling your mobile phone. 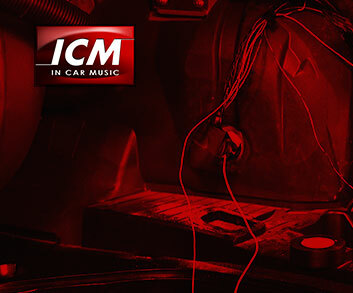 Calls are transmitted using Full Duplex to your vehicle's speakers for unrivalled listening comfort. The CK3100 LCD is a handsfree system that fits inside your vehicle. Once paired to your mobile, iPhone or smartphone via Bluetooth wireless technology, the kit automatically connects and synchronises its phonebook with the contacts on your phone. Browse the phonebook, select the contact and start the call: you can then chat while keeping your hands on the wheel and your eyes on the road. For even greater comfort, accept or decline incoming calls with the CK3100 LCD's voice command feature, or use the built-in voice recognition technology to call a contact. Combined with a positionable and adjustable microphone, the CK3100 LCD boasts the very best in noise reduction and echo cancellation technology. The system delivers optimal audio comfort and parasite -free voice quality. The Parrot CK3100 LCD displays your mobile phone's information on its LCD screen, such as caller ID, phonebook contacts and call records. The three-button screen interface can easily be positioned on the dashboard and adjusted to offer the best possible viewing angle. Combined with the screen, the voice menus ensure unrivalled comfort for hands-free calls. The CK3100 LCD connects to your vehicle's audio system between the car stereo and the speakers. Calls and voice menus are reproduced over the speakers for maximum listening quality. If you are listening to the radio or a CD, the music is automatically muted during calls and then returned after the call. Displays the mobile phones information: Phonebook Incoming call Recent calls Missed calls & Voice messages.